Find the perfect keepsake or gift in any of the three MFA Shops in the Museum. Located in the Druker Family Pavilion, the Main Bookstore and Shop features New England’s premiere collection of thousands of books on art, photography, architecture, design, fashion, film, music, and children’s books, as well as merchandise inspired by the art found in the Linde Family Wing for Contemporary Art and classic MFA gifts, including home décor, jewelry, stationery, prints, Art on Demand, fashion accessories, and toys. The MFA Signature Shop is located across from the ticketing desks in the Huntington Avenue Entrance. Begin or end your visit by browsing our exciting gift assortment highlighting the masterpieces of the MFA collections. The boutique atmosphere showcases handcrafted decorative arts, jewelry and apparel, and MFA and art-related gifts in an inviting, easily accessible location. The MFA Signature Shop is the perfect place to pick up a souvenir of your visit or buy a distinctive gift featuring one of the many beautiful, iconic works in the MFA’s collection. In the Art of the Americas Wing, Level LG, discover a shop filled with treasures relating to Gund Gallery exhibitions. This fresh space is the perfect way to enhance an exhibition visit or serve as a jumping-off point for your exploration. Shop online at www.mfashop.org and sign up for e-mail to receive special discounts and offers. Member’s discount may not be applied toward consignment merchandise, Revere Portfolio prints, gift certificates, shipping charges or MFA memberships. 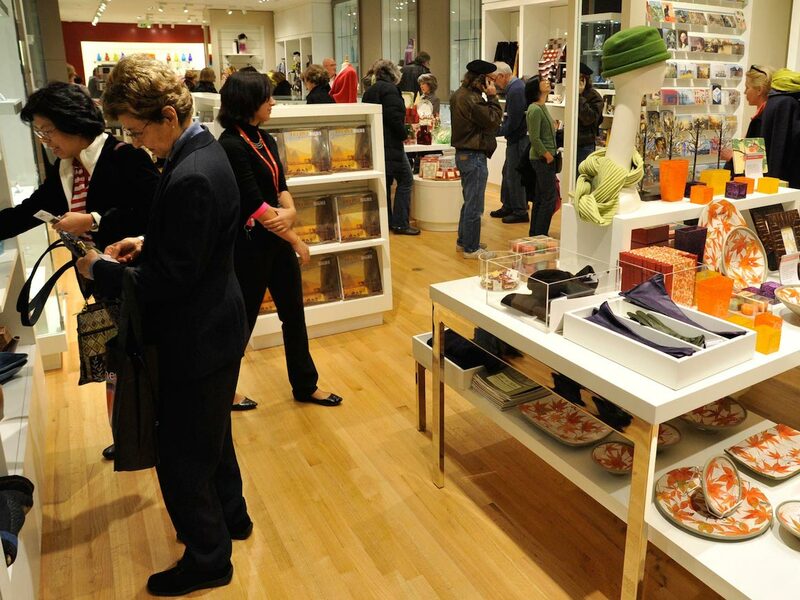 Visit the MFA Shop any time to get great books and gifts.